Our women's Milan 2 Jersey offers a casual look with a relaxed fit for everyday use around the home, office or gym and is made with performance fabrics designed for any active lifestyle venture you can throw at it. Our Connect line of apparel is designed to connect people to places, and people to people, while enjoying all the benefits of an active lifestyle. Our women's Milan 2 Jersey is part of that collection and does exactly that. It offers a casual look with a relaxed fit for everyday use around the home, office or gym, and is constructed with performance fabrics designed for indoor cycling, as well as any style of outdoor riding, yoga, rock climbing, and anything else you can throw at it. 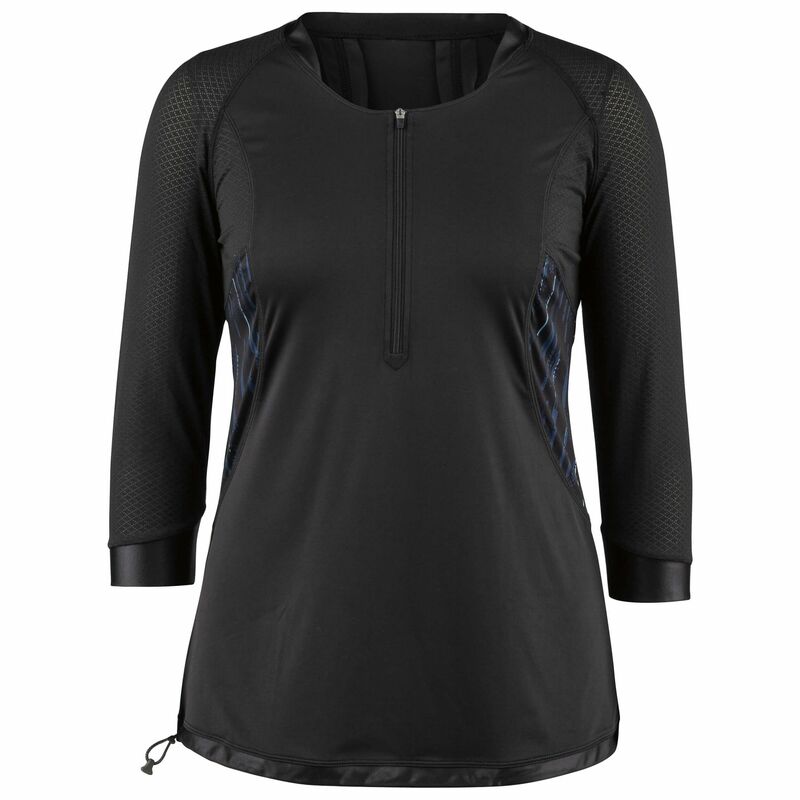 It also features cooling properties, a UPF 50+ rating, ventilated armpits, 3/4 length sleeves and an extended elasticized drawstring for maximum coverage and comfort.